Homecoming Insider Giveaway - Ivan Parker's "Threads of Mercy"
UPDATE: This contest is now closed. Congratulations to this week's winner, Alice Wiebe! If you are Alice, please see our reply to your comment below to find instructions for claiming your prize. Thank you to everyone who entered, and keep reading the Homecoming Insider newsletter for more fun giveaways! Welcome to this week's Homecoming Insider giveaway! 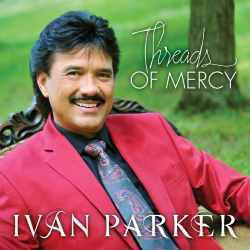 Enter now for your chance to win the CD Threads of Mercy from award-winning Gaither Homecoming friend Ivan Parker! To enter, simply comment below and let us know why you'd like to win this CD. The deadline for entering is Sunday, September 4, and our winner will be randomly chosen and posted to this page no later than Tuesday, September 6, 2016. IMPORTANT: If you are the winner, we will notify you ONLY by posting your name on this page and announcing it in the next Homecoming Insider newsletter. It is your responsibility to check back here on or after Tuesday, September 6, to see if you are the winner and get instructions for claiming your prize. If the winner has not claimed his or her prize within two weeks, it will be forfeited and may be featured in a future giveaway. 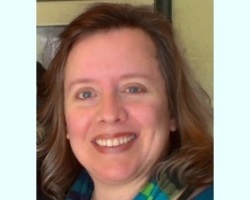 The theme of Ivan Parker’s album Threads of Mercy is reminiscent of a well-known poem by Corrie Ten Boom, in which she compares life to a tapestry: My life is but a weaving/Between my God and me/I cannot choose the colors/He weaveth steadily. With carefully chosen songs such as “’Til the Shackles Fall Off,” “On the Solid Rock I Stand,” “Silent Prayer” and “God’s In the Middle of It,” Ivan sings of the thread of God’s mercy that runs through the fabric of our lives. After 30-plus years in gospel music, Ivan’s warm and powerful voice continues to deliver songs that not only delight the ears, but also enrich the soul.